After camping at over 600 campgrounds in his Lance Camper, Ralph Goff picks his favorite 25 BLM, USFS, and NPS campgrounds across the American West. Most are under $10. Many are absolutely free. Thank you, Ralph! Ten years ago today, we interviewed Ralph Goff (aka Ramblin’ Ralph) about his then new website, hogtimemusic.com/nomad. 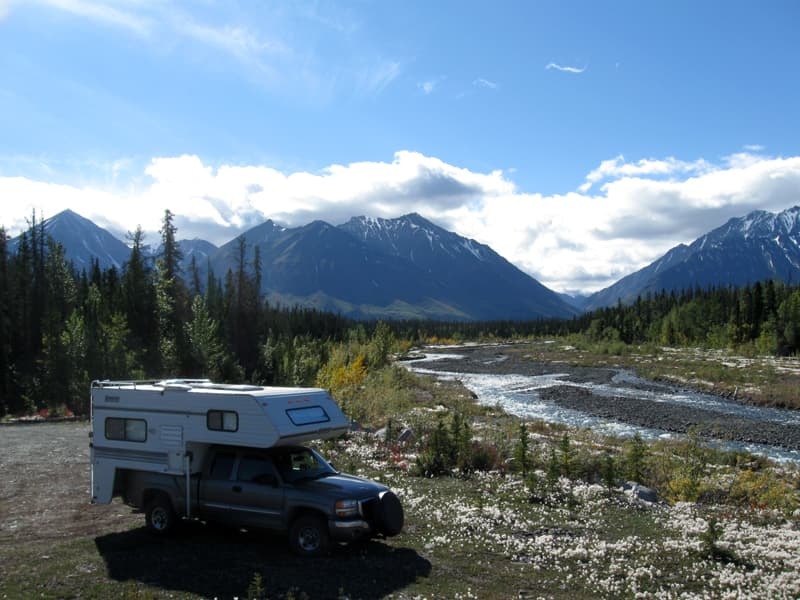 From his 2001 Lance 845 truck camper, Ralph was systematically checking out every BLM, USFS, and NPS he came across, and documenting the quality of the campground on his free website. Naturally, we were huge fans. After a decade of first hand truck camping research, Ralph’s campground online directory has blossomed and expanded to include over 600 campgrounds throughout The American West. For fellow truck campers looking for a real guide to BLM, USFS, and NPS campgrounds, you’re in for a serious treat. We almost felt guilty even asking Ralph the question. It smacks of the absurdity of the, “Who makes the best truck camper?” question we get asked at every rally we attend (hint: nobody does). Then again, we asked for Ralph’s personal opinion, not an empirical analysis. As he reveals, he prefers mostly free or low cost USFS campgrounds away from people, without hookups, and offering resplendent views. Add close by fishing opportunities and you have one happy Ralph. If you need hookups, look elsewhere. If you don’t like being off the beaten track, keep going. But if you’re a jolly boondocker who loves extremely affordable camping away from humanity, Ralph’s information is like a big pile of amazing falling from the sky and landing on your future truck camping life. TCM: You’ve been to over 600 campgrounds in the last 11 years of truck camping. How did you go about picking your favorite 25? Ralph: I looked at my blog, RamblinRalph.com, and searched for the term, “very nice”. I included that phrase to help me remember the better campgrounds that I’ve visited. From that list, I selected my 25 favorites. When I arrive at a campground, I take a picture of my site right off the bat. 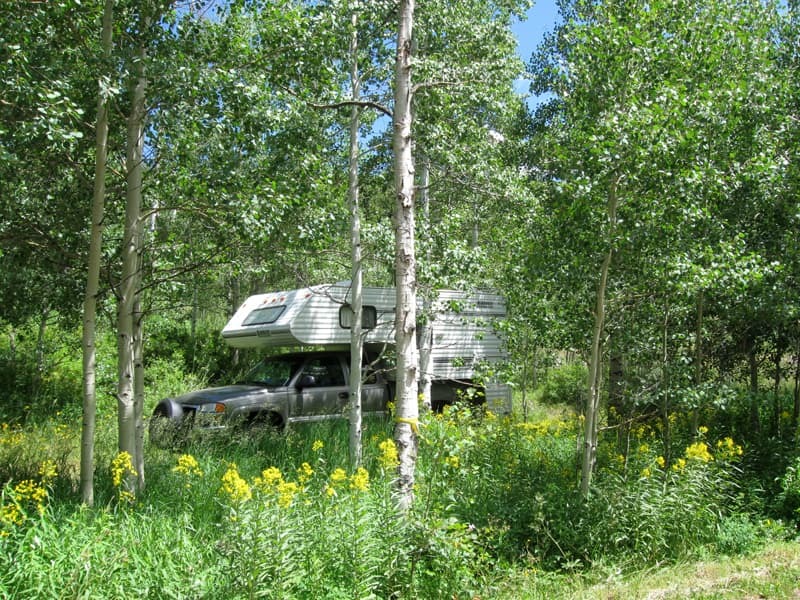 I then put that picture and my campground notes in my blog. I try to photograph the campground so people can see what it’s like. For example, if there are a lot of trees or if there’s a lake I try to capture that. I like to camp by lakes or streams. As I walk around the campground, I take notes; the number of sites, if the sites are level, if there are toilets available, and the price. Along with the campground photographs and information, I’ll often include pictures of the previous travel day.